Look at me, on the ball this week! I didn't vlog week 13, but life goes on. Plugging right along. 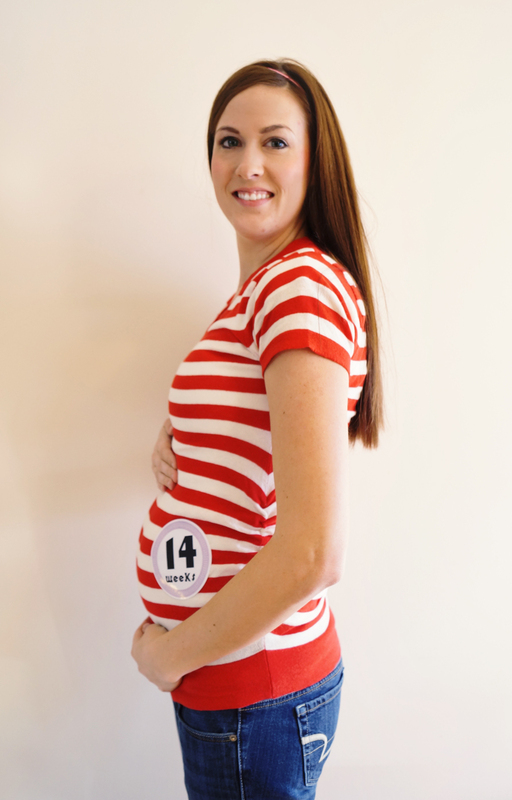 Everyone says that subsequent pregnancies go so fast, but it doesn't feel like it's going fast. Maybe it has to do with the fact that I'm reeeeallly impatient to hold a newborn again. 14 weeks behind me though! I've been picking up new maternity shirts here and there. I think this one will make 25-30 weeks before it's too small....if that. You know how you grow out of your clothes and then grow out of maternity clothes the last 6-8 weeks? Yeah, that'd be me. Oh well, it's cute and was a steal for $8 at Ross. You look so cute and stylish and I love your little baby bump!